Driven by a rapidly evolving business climate and the need to service a broad mix of both legacy and new apps, enterprise storage requirements have forever changed. 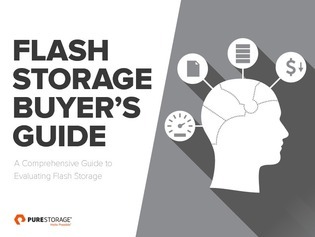 As a result, companies are integrating flash into the persistent primary storage tier and using it in mission-critical production environments, thereby causing the All Flash Array (AFA) market to grow at an incredible rate. This guide will assist prospective AFA buyers evaluate their different options. Find out what key features to look for and get help comparing and contrasting the diverse set of market offerings from both startup and established vendors.